Jaded ears may be crying over hearing this warhorse again. This horse can still kick however in the hands of a master. Case in point – Detroit vocalist Spyder Turner’s version. This novelty take of “Stand By Me” includes impersonations of Jackie Wilson, David Ruffin, Billy Stewart, Chuck Jackson and Smokey Robinson and comes from Turner’s audition tape to MGM. The phrasing in the beginning demonstrates that Turner is a great singer in his own right. The masses agreed and in ’67 “Stand by Me” hit #12 on the Billboard Hot 100 and #3 on the Soul charts. 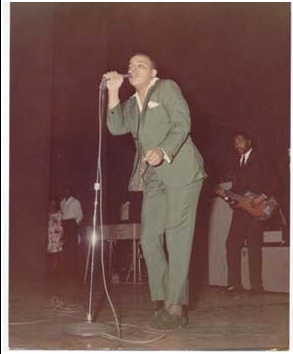 If you have seen veteran R&B performers live they often include a song in which they mimic other performer’s vocals and moves. They may have even done it to this song. Chalk another one up for Spyder Turner. Spyder Turner performs at the Detroit Breakdown in NYC on July 31, 2010. Flyer for the Detroit Breakdown – 7/31/10 in NYC. Plus The Gories song that inspired the name.